Barron's is a time bomb. They’re not wrong. Timing is the only thing to argue about. You could see 50 sizeable defaults. Fifty to 100 sizeable defaults. More. This will amount to hundreds of billions of dollars' worth of defaults.... It'll be something to worry about within the next 12 months. --Meredith Whitney, December 19, 2010. I think there were some forum posters who actually said they were acting on the basis of Whitney's statement. Yes, I get it. This prediction was not made by Meredith Whitney, ergo this prediction is correct. This is another reason why I'm considering not investing in municipal bond funds in my taxable account even though I'm in a high income tax bracket. No, it's really not the same at all. There's a big difference between (1) a short-term prediction that makes a call that goes against a large percentage of what the market thinks and (2) a statement that points out something about the balance sheets that everybody knows about and is pricing in. You could make a more active argument as usual about whether that pricing is correct or not, but that's not even really pushed here. I guess the title itself ("The Ticking Time Bomb in the Municipal-Bond Market") can be more construed as more of a prediction, but it doesn't give a timeframe for when problems could show up. It could be ticking for a while. And bombs don't always go off. Here there could be resolutions to the pension obligations that are not that unfavorable to municipal bond holders. But generally you should ignore the titles, which tend to be written by editors looking for page clicks. This is clearly a problem, question is when. If your out-go is greater than your income, your upkeep will be your DOWNFALL. There are an enormous diversity of muni issuers. It is not just governmental issuers themselves. What does the article say about this or does it just wave its hands widely about "state and local issues." Many of the revenue issuers have no pension obligations (O'Hare Airport, water or sewer bonds, probably most toll roads). The University of Chicago and similar universities have defined contribution pensions run by a third party or parties (TIAA or Fidelity, even Vanguard, etc.) so pension obligations will have no effect on their muni bonds. Some general obligation bonds in some places may have issues. I guess your excerpt is not enough to convince me that there is much in this article. Do the authors report specific examples with documentation. That would tend to make prices go down and interest rates go up to reflect the increased risk. Don’t the rating take the funding issues and problems into account? If you stick with investment grade I think it should be ok.
More state and local governments than not appear to have taken steps to fund current pensions or reduce future pension costs. “Nearly three-quarters of state plans and over half of local plans have made some kind of pension reform since 2009,” according the Center for Retirement Research at Boston College. Just for reference, Vanguard High-Yield Tax-Exempt Fund VWAHX is about 40% BBB or lower (including unrated) which is just above junk. Morningstar's national muni average is 25%. Vanguard Tax-Exempt Bond Index Fund VTEB has 8%. Chicago appears to be trying to issue more bonds at grade A (even though Fitch downgraded them to BBB) but weren't apparently successful. Chicago particularly seems to be in trouble and if they can maintain an A rating, I wonder if ratings mean much or how reliable they will be in the next recession and aftermath. I used to hold high yield muni funds but changed to higher credit. You can check on your state's (lack of) pension funding on this WSJ table. The worst offenders are, in order, IL, KY, CT, AK, KS. 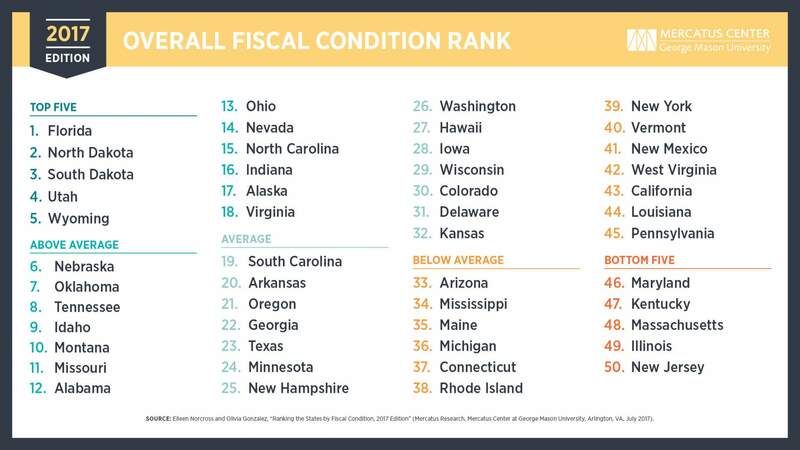 I would avoid owning any muni's from these states unless you are going to read all the fine print about the priorities of funding, revenues, etc, and even for the bold, stick to shorter dated bonds (maybe 5-10 years, definitely not 30 years). Some of these states are where Puerto Rico was 5-10 years ago, and like most defacto bankruptcies, it happens very slowly and then very quickly. As soon as there's a crisis of confidence in a state's ability to repay its bonds, no interest rate is high enough and they will have a hard time rolling over their debt to finance their unsustainable budgets (of course they have unsustainable budgets or they wouldn't be in this mess in the first place). You won't want to be long that state's pension or muni's when that happens. Interest rates are moving higher, and that will also shift up their debt interest costs and future issuance rates. Like PR or IL have already seen, a state can raise money primarily by taxing locals and if their tax rates get too high people will just leave. Already many of the high tax rate states are seeing net outflows of $B of taxable AGI annually to FL and similar places in recent years, and the kinds of steps to address the pension gaps by socializing those generous past promises onto the average local taxpayer are the kinds of things that accelerate this exodus. The recent tax reform has mostly removed the federal subsidy for high state taxes, so high earners will feel the full impact of any marginal tax increases. While not everyone can pick up and move to Florida (or Texas or Nevada...), the progressive tax code hits the wealthy disproportionately and they are more able to move their job or their business elsewhere if the economic environment changes too much for the worse. It's not a pretty picture. You're playing a game of chicken as a muni owner in these fiscally mismanaged states, betting you'll get out (or get a bailout) before the day of reckoning arrives. That's not a game I would be playing, but you pay your money and you take your chances. Last edited by Tanelorn on Sun Jan 28, 2018 11:18 am, edited 2 times in total. Sure, they'll downgrade them as soon as the price has already crashed and it's too late. Perhaps you'd like some nice safe AAA MBSs or CDOs? They did just fine in 2007-2008. This has been discussed for years and years and years. It all goes back to basics and is no different than most other investments. Pension obligations are an important consideration and have factored more heavily into specific bond ratings. The importance and influence on ratings have only increased over the years. You can either focus on evaluating each individual municipal bond and make decisions on your own, or you can try to diversify away the risk. I seriously doubt that a AAA rated Delaware General Obligation bond is going to become worthless. Also, an existing prerefunded municipal bond secured with US government obligations will not fade away. However, trying to maintain an active level of surveillance in Muniland is burdensome, and most investors managing their own money will usually benefit from the diversification of municipal bond funds. Your state-specific fund will, by definition, be less diversified and carry more theoretical risk than a national fund, and many Bogleheads have split the difference for many years. I doubt the muni landscape will implode entirely. But like anything else, an investor should understand the inherent risks of any investment. FWIW, the article suggest that NY is in good shape and singles out NJ as being in particularly bad shape. If you stick with a good National Muni-Bond fund from a conservative shop like Vanguard, you should be okay. Stay away from funds that have higher than market yields, they are taking risks that you probably don't want to take. A couple of tricks used are use of leverage or buying a lot of lower rated bonds. Funds used to juice yields by purchasing Puerto Rico bonds. It is possible to build you own muni-bond portfolio using General Obligation Bonds from a state and Revenue Bonds that have an income stream backing them up. Pay careful attention to bond ratings. As I recall, Larry Swedroe had a list of about seven states to avoid, largely because of underfunded pensions. This area for investment has some pitfalls, not so easy if you build your own bond portfolio, but it can be done. Pretty much, I would stick with a good National Muni-Bond Fund. If your state has solid finances, you could go 50/50 between a National fund and a State only fund. Early last week I sold all of my national muni closed end bond funds most of which were leveraged. Interest rate risk, credit risk, pension fund risk, marginal federal tax rate declining, etc. For me, the risk/reward ratio just wasn't worth it especially in regards to closed end funds. The burden of public sector pensions and retirees health care costs is, if anything, greatly underrated. Those of you who would like to follow this subject more might want to check out the site pensiontsunami.com. Relying upon the rating agencies to tell you if there's risk is nonsense. Perhaps you may remember that that the agencies were rating mortgage backed security tranches as AAA less than a year before some of them defaulted. Those of you who willing and able to evaluate individual bond issues for their safety will probably do well as municipal bond issues begin to default but relying upon fund managers to do that for you is akin to relying upon equity managers to provide you the same service as they far outperform all those boring index funds that most of us here invest in. The growing deficits in public pension funds over the last several years has occurred despite the last recession ending in 2009 and the stock market going without a correction since then as well. What will happen to unfunded pension obligations when the next bear market and/or recession hits? For those of us who use the fixed income component of our portfolio to hedge against downturns as well as providing assets to invest when equities are cheap, the only logical borrower from whom to purchase debt is the one that gets to print American currency. Yep, not too many people with a dog in the race are able to say this company, investment or bond should be sold. When the negative news does finally arrive, it is too late to do anything but sell low, or worse. So what is the alternative to munis then for those now in a high net worth taxable portfolio? Short term treasuries? Last edited by Captain kangaroo on Sun Jan 28, 2018 3:39 pm, edited 1 time in total. The Barron's article might be the canary in the municipal coal mine. And we might not really know until it's too late. Or this could just be another piece like the one by that woman, a few years ago, warning about the pending doom of the municipal bond market. Just as muni bond prices continued their long term rise. Captain Kangaroo, short to intermediate treasuries (or more useful for most of us, a fund of them) would be the logical place to park your cash. I'm not willing to bet that long term treasuries can continue to remain at their current low yields. I'm willing to take term risk for two year notes in order to get a higher yield because the down side isn't that much if I need to sell. This is a VERY expensive alternative. Meaning that your after tax final earning will be much much smaller than a "peak of the yield curve" or even short term muni portfolio. Is the risk of an overall muni market disaster worth paying (giving up big income) that kind of price? if you search old news, you will find that these time-bomb warnings have been issued since at least early 2000's. nothing new. move along, people. The recent scare and drop is a buying opp. Adding to my position tomorrow. A portfolio is like a bar of soap. The more you handle it the smaller it gets. Yes, I was one of the posters who acted on Meredith’s widely publicized statements. I treated it as hogwash and a buying opportunity, built ladder of munis within 12 months after her oracle, one of best buying opportunities for munis in years. Since I think Barron’s is on intellectual par with Meredith this may also be a buying opportunity. Good luck. Would think these possibilities are priced in. I remember the Whitney scare and than the threat of losing tax exempt status. Both didn’t pan out. Ignore the noise. I think municipal bond funds are probably actually a lot safer than one would actually think. Federal and state Income tax compliance rates in the U.S. are probably the most highest in the world. If a U.S. citizen does not pay their income taxes, federal and state governments will know about it and find them, and punishment judiciously meted out - with penalties. The IRS is for federal taxes, while muni's are backed by state or local tax revenues. Barring a federal bailout of specific states, the IRS doesnt matter here. When taxes rise too much, people who can move to a different area and legally no longer pay taxes to that state. Rising budget shortfalls and a shrinking tax base is an unsustainable situation. As this concern has been voiced publicly by many people, many times over the past 10 (or 20?) years, surely the information is by now priced into the municipal bond market. And, as I haven't a clue as to how to ferret out the better class of municipal bond myself, I shall have to continue to rely on the hope that the muni bond folks at vanguard do know how to do that. That's just exchanging market (or personal ignorance) risk for manager risk, but in this case I believe that's the better risk trade-off for me to make. Back in the 2000s, the market knew that FNMA bonds were not backed by the full faith and credit of the US Government. However, it figured that as a GSE, FNMA would ultimately get bailed out if need be. As such, there was very little risk premium for a FNMA bond vs. a Treasury. The market was correct--and probably in a self-fulfilling way. A decent segment of muni bond investors are making the same bet here--that the feds will ultimately rescue the pension funds. However, I don't know that muni bond investors can make it be true in the same way that investors in Fannie/Freddie bonds could, so my comparison does break down. IL wants to issue over $100B in pension bonds so they "lever up" their investments in the markets. Are your state officials gambling your pension on margin in the stock markets? If you're buying muni index funds from IL, there's a good chance pretty soon you'll have a piece of this huge new issue, assuming they can manage to find enough suckers, er, investors to launch this offering. What could possibly go wrong? When you're 50%+ underfunded, I guess you can't even hope for bull market appreciation and you have to take extreme measures like gambling on margin for double or nothing. If / when they get into trouble, just ask how many of those PBO bond holders are IL voters compared to how many of the government employee pensioners are, and you can guess how the political negotiations will go. Who needs a "haircut"? I bought more on Friday and will continue doing that for the next few months. Last edited by weltschmerz on Tue Jan 01, 2019 1:40 pm, edited 1 time in total. Here's a reminder from one of the great but no longer contributing members, Larry Swedroe. This was 1.5 years ago, so his view may have changed. If I had to guess, the list probably looks about the same, maybe longer now. I read the barons article and saw my favourite closed end fund trading at a 10% discount to NAV. I backed up the truck on munies! Bonds, especially thinly traded Muni bonds, generally don’t get rerated once they’ve been issued, unless there’s some sort of massive and obvious problem that is already public and priced in. What is the consensus on VG High Yield Tax Exempt fund? Buy more? I remember making a nice gain buying after Meredith Whitney did her 60 Minutes interview..
What ever happened to the concept of market efficiency? People here are acting like the fact that there are unfunded liabilities at the state level is not widely known, and therefore not already baked into the prices. Yeah. I wouldn't touch any Illinois GO bonds as it stands, and issuing $107 billion in pension-funding bonds will not end well. But there are thousands of perfectly respectable muni credits out there. I personally own the Vanguard Ohio Long-Term Tax Exempt fund. Ohio is in OK shape, and the position is only 0.7% of our portfolio (1/3 of our taxable account). That table was from 2015. Here's one that includes 2015 and 2016 and the change (nearly all are getting more underfunded), so it's a bit more recent data. There was another article in the Feb 2nd edition of the WSJ, which I cannot access. "Climate Change Could Swamp Your Muni Bond Portfolio". Of course we con't debate climate change here, but it would be nice if someone could summarize the investing issues presented in this article, as it's a timely and actionable matter. No free lunches. Why do you think muni yields have beem higher than treasuries for last few years, when historically they were lower ? Risk has grown, yields backed up. Yueld chasing results in more risk, either longer bonds for int rate risk, or credit risk in munis and worse in junk bonds. Note another change since Whitney. No more muni bond insurance after default of Ambac and their competitors. All that said, I diversify. Have Total bond in ira, Total Bond substitute in 401k, savings bonds and munis in taxable. Diversity beats picking the winning horse, I can’t find a good crystal ball. As others cite, there are some states whose pension systems are poorly funded and it is a question when, not if, something is done about it. These states can simply not afford to keep paying benefits at the current level for much longer. However, most states' pension systems are in fair to good shape right now. One problem almost all state pension systems have is they project investment returns between 7% and 8% annual, based upon a mix of equity, bond and alternative investments (hedge funds, private equity, real estate, etc.). Everyone recognizes that is not realistic in the current investment world. They are in denial because if they adjusted their project investment returns to something realistic, their unfunded liabilities would increase dramatically. Another big financial problem for state and local governments is the liability for health care to retirees, usually at no cost to longtime employees and reduced costs to others. This is usually a full health care plan for pre-medicare retirees and medicare supplement/prescriptions for medicare retirees. The PEW research folks state that "In 2015, states had $46 billion in assets to meet $692 billion in OEB (mostly health care liabilities for retirees) liabilities, yielding a funded ratio of 6.7 percent." These are long term problems that all states will grapple with, although most states' circumstances are nowhere near as dire as the problem states previously cited by other posts. Personally, I think some benefit cuts will be necessary for many to cope with this issue. A pat answer you always hear on this forum is that these type of problems are already baked into the pricing on investments. Personally, I do not fully buy that in this situation. I would be very careful investing in munis and muni funds for the long term. I doubt you will see many defaults but I think you will see that more states and locals will see downgrades in their bond ratings resulting in loss of value for muni funds. I think a key point in the article was that while the muni issuers are suing against potential damages, they haven't disclosed the risk in their muni funds, and in their muni disclosures say they can't predict if or when there will be an impact. So are munis trying to mislead by hiding risks in order to gain lower rates and suing to cover in the case the risks show up? Perhaps, but some have concluded this is a way for cities and states that are dissatisfied with federal environmental and energy policies. So it may be more political frustration than a measured economic risk. "When crunchtime comes, owners of what are in theory ultrasafe bonds—those backed by the taxing power of issuers—may be in for another rude surprise. In most bankruptcies, pensioners have been treated far better than bondholders."